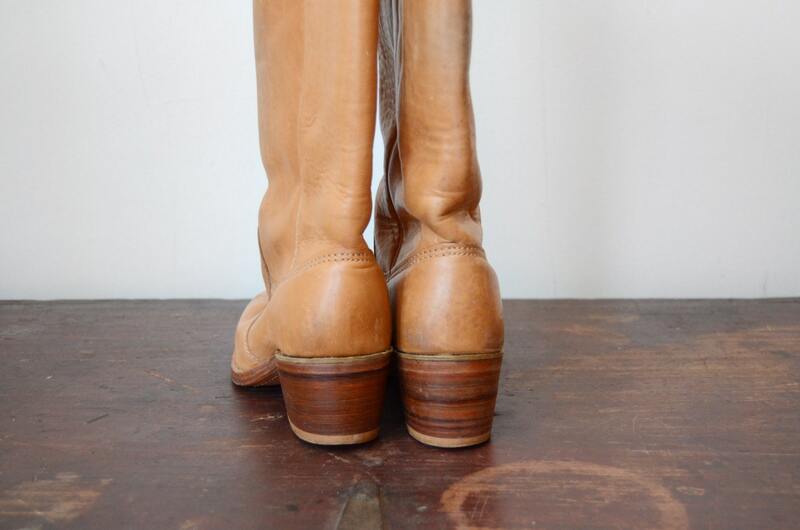 Circumference at the top of boot: 15"
Details: Bort Carleton camel colored leather boots with a thick wooden heel. 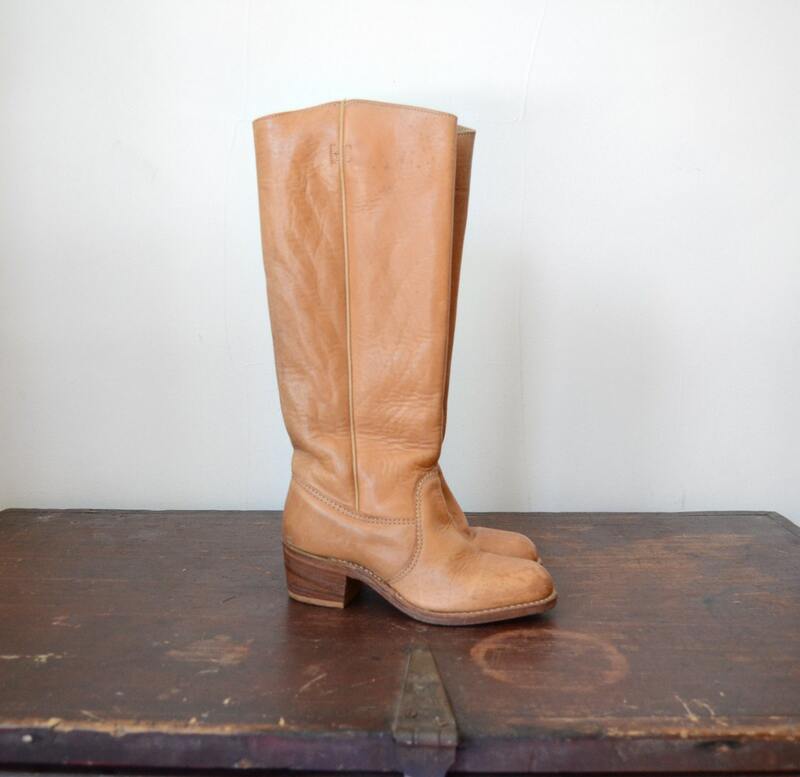 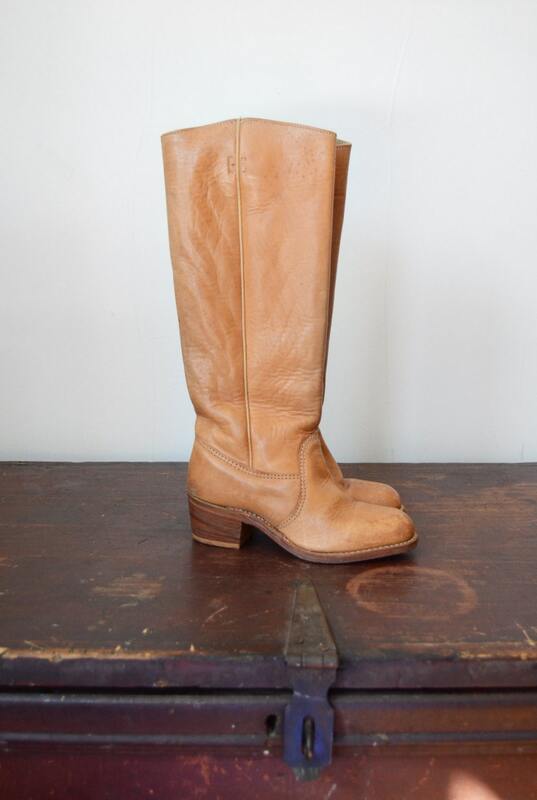 These are classic 1970s boots and are made by a fantastic designer. 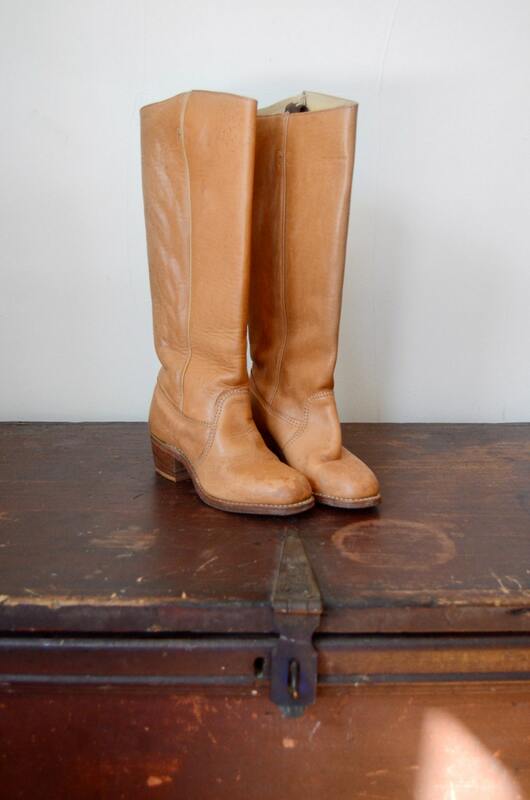 Condition: Great shape! 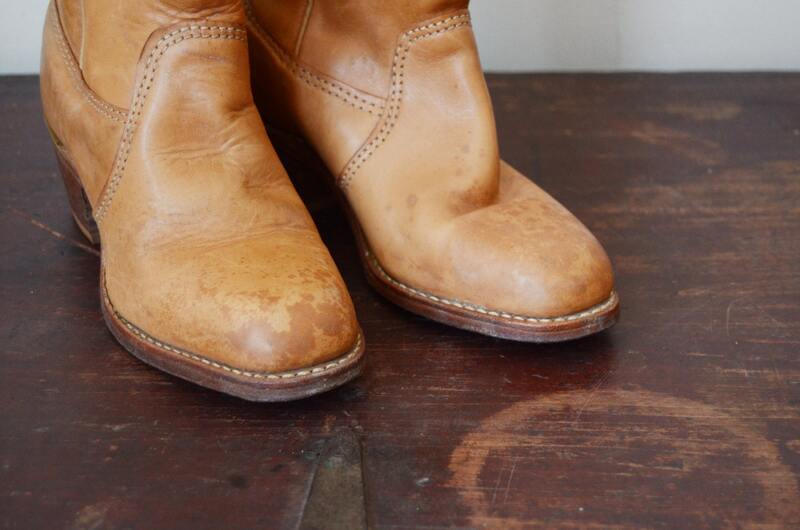 Some variations to the coloring, especially around the toe, ready for lots of wear!